Postdoctoral Positions Open in Neural, Cognitive, and Rehabilitation Engineering at University of Houston. 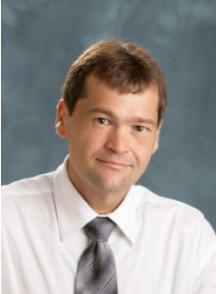 Kirill V. Larin is Assistant Professor of Biomedical Engineering at the University of Houston, Houston, TX. His research interests focuses on development and application of OCT for noninvasive and nondestructive imaging and diagnostics of tissues and cells. Larin has authored more than 40 peer-reviewed journal publications and chapters in two textbooks on Biomedical Optics. He is recipient of Boris Yeltsin Presidential Award, Wallace Coulter Young Investigator Translation Award, Office of Naval Research Young Investigator Award, and Outstanding Young Investigator Award from the Houston Society for Engineers in Medicine and Biology. When the heart develops, it becomes stiffer as required for ability to contract and pump blood...So the question is - does it become stiff because it’s contracting, or is it stiff to begin with because it is genetically predefined? We will create this hybrid microscope putting these two powerful technologies together. OCT will image the development of the neural tube while at the same time, Brillouin spectroscopy will probe its mechanical properties. We will be imaging and sensing at the same time...If we find out what causes the tube to close, what is exactly happening, we can develop new drug treatments for at-risk embryos...It's still one of the great mysteries of life, no one on earth knows how this happens and that is really exciting to us, because we will be the ones to find out. We are using OCT to image mouse and rat embryos, looking at video taken about seven days after conception, out of a 20-day typical mammalian pregnancy...this way, we are able to capture video of the embryonic heart before it begins beating, and a day later we can see the heart beginning to form in the shape of a tube and see whether or not the chambers are contracting. Then, we begin to see blood distribution and the heart rate. Our primary objective is to develop noninvasive, early detection methods to diagnose various diseases.